Coding is much more than a technical skill. It allows kids to interact in new ways with their digital worlds and become makers. Learning to code has been shown to strengthen computational thinking skills, and in the process, it’s giving kids an advantage in subjects like math and writing. It also helps foster creativity and organizational skills. And when they’re making amazing projects on their own, kids feel more confident in themselves and believe in their ability to create instead of consume technology. The conventional belief has always been that kids interested in programming should develop strong math skills. But it might actually be the other way around. Educators and parents are talking about how computer programming can help children build math skills and make math learning more fun. Read more. Coding is a new creative medium that allows kids to combine their love of art and technology to tell interactive stories. When they learn to code and create digital storytelling projects, children acquire skills that improve their writing, and they have fun in the process. Read more. 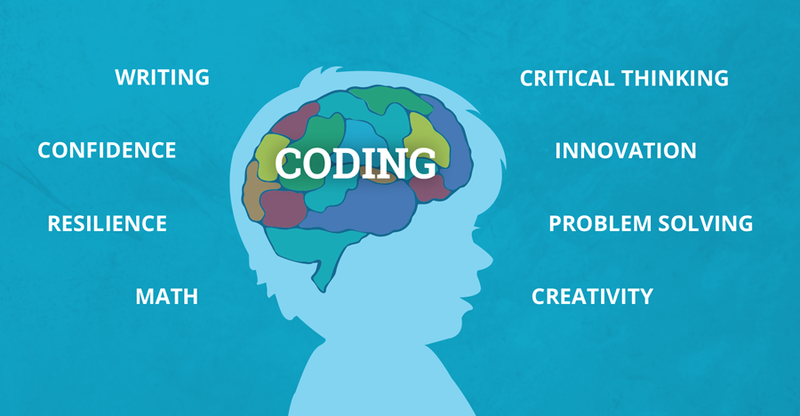 Learning to code cultivates all three of these important qualities and helps kids grow creatively. Read more. What is the benefit of creating with code? Do we want all of our kids to become programmers? Not necessarily. As parents, we want them to learn skills that might be important to their future success. We want our children to be confident, independent and resourceful problem-solvers. Read more. Coding lies at the intersection of STEM and creativity, so it’s a great way for kids to both express themselves and develop critical thinking skills, while also exploring a potential future career. For girls especially, who are underrepresented in STEM fields, coding may be a unique entry point to get them interested in STEM. They can bring their own interests, such as art or animation, storytelling or sports, into Tynker to build projects that they really care about. If your child isn’t coding yet, it’s not too late to get started!